You might receive this error If you try to import data that should belong in the building titled Workshop 1, but the data reads “Workshop1”, "Wrkshop 1" or let’s say “Work Shop 1” < pay close attention to not only the spelling, but also to the spacing. The data will not import because the software will not be able to locate that specific building/resource/location/type. **It is very important that what is written in the data MUST MATCH what is written on your FMX website. You will also receive this error if something required, such as an equipment or Inventory Type, has not yet been created on your FMX site. You will receive this error if you left a required cell empty. For example, if you are importing inventory and did not include the quantity of light bulbs, then the data will not complete the import. This is a required field, and therefore should never be left blank. This error occurs when trying to import resources that are attached to “parent locations”. It occurs because the parent location has either not been created yet, or because the spelling may be different from what is on your FMX site. This error occurs when a data spreadsheet contains more than the allowed number of rows. This is typically set at 100, and can be modified on the back end; however, it is sometimes more effective to break your data spreadsheet down into multiple imports. This will create a smoother and quicker bulk importing experience. This error occurs when a field, such as a location/building/Type, piece of Equipment, etc. is duplicated in the customer’s FMX site, meaning there is more than one “Gymnasium” created for the same building, making it impossible for the system to know where the item should belong. Therefore, it is important for all names and tags to be identifiable/unique when creating them. **THE SYSTEM WILL LET YOU IMPORT DUPLICATE EQUIPMENT ITEMS WITH THE SAME EXACT NAME, MAKING IT AN ISSUE WHEN TRYING TO ASSIGN THOSE EQUIPMENT ITEMS TO A MAINTENANCE/PM REQUEST DOWN THE ROAD!! Another possibility is that the duplicated item just needs a specific location, which then would separate it from the other duplicates. This error occurs when the data contains a custom field that does not already exist on your FMX site. This could also be something as simple as bad spacing. For example, the custom field should read "Serial Number" as it appears on the site, but instead it's reading "Serial Number" on the spreadsheet. This error occurs when trying to import a User, but their email address is not a correct or is invalid. Make sure all email addresses are correct and valid, as this is a required field for all Users to access your FMX site (unless they are just a contact). This error occurs when you try to import a User who either already exists on the site under that email address, or when importing multiple Users under the same email address. There can be no duplicate email addresses. This error occurs if you attempt to “assign” a user to apiece of equipment, or to a work/schedule request but their name is either misspelled or they are not a current User on your FMX site. This error occurs if you try to import a time that is not written in military time (i.e. 4:00pm should be entered as 16:00). Dates should automatically be entered in at mm/dd/yyyy, but make sure this is the case before importing. These errors occur when entering in PM tasks. When scheduling PM tasks, each task must have an occurrence attached to it. For example, it might be a monthly task that takes place each month on the same day, or it might reoccur each month based on the completion of the previous task. PM tasks can also reoccur daily, monthly, bi-monthly, yearly, etc. Just make sure you clearly label when and how often each PM task occurs. This error occurs when you attempt to import users with email addresses that are hyperlinks within your Excel spreadsheet. The email hyperlinks, having possible errors within them, do not allow for the FMX software to read and open the data within the spreadsheet. Therefore, you must REMOVE the hyperlinks (click the column, rick click, select "Remove Hyperlinks") before you import the data. You will then fix these errors and process to import once again. Some characters are unusable when importing email addresses into an FMX site. 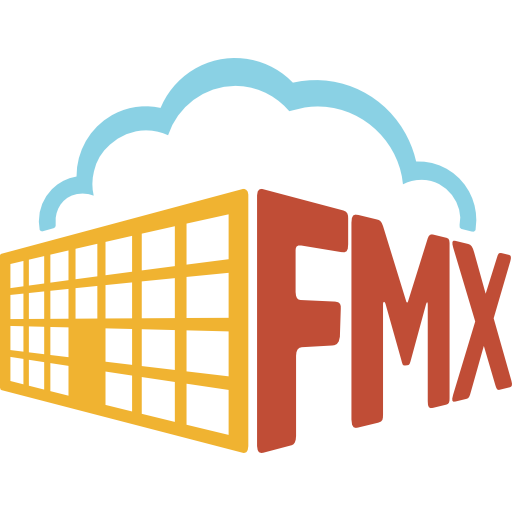 Take a look at this helpful list so that you can avoid these errors when bulk importing Users and their email addresses into an FMX site!